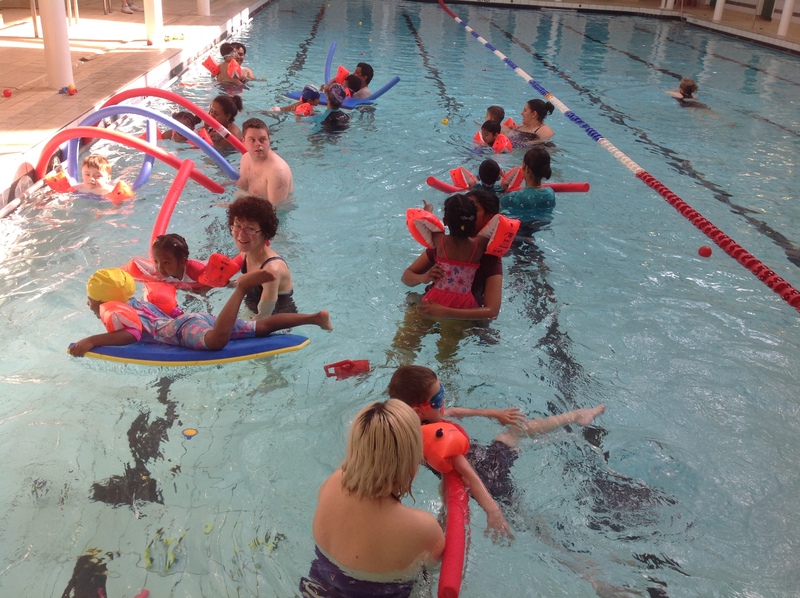 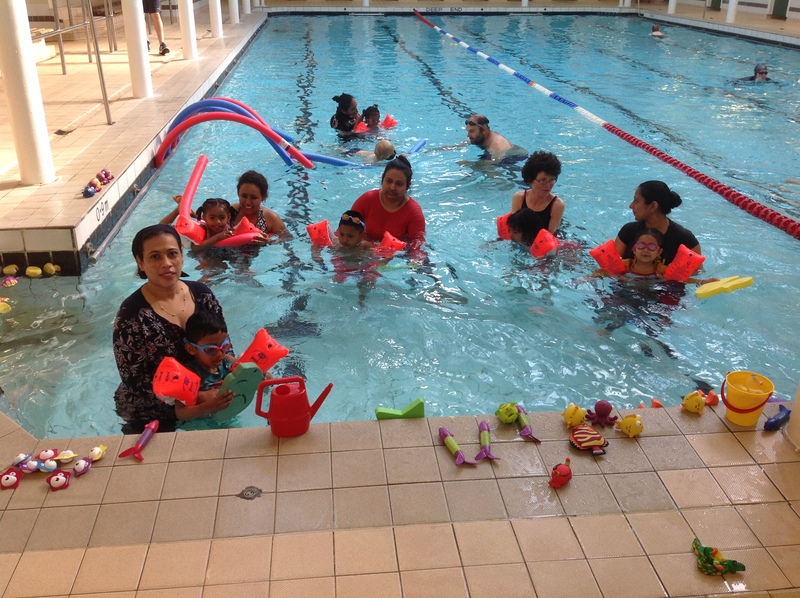 The children, parents and staff had great fun in the pool at Dalry Swim Centre on Thursday 10th May and Thursday 17th May. 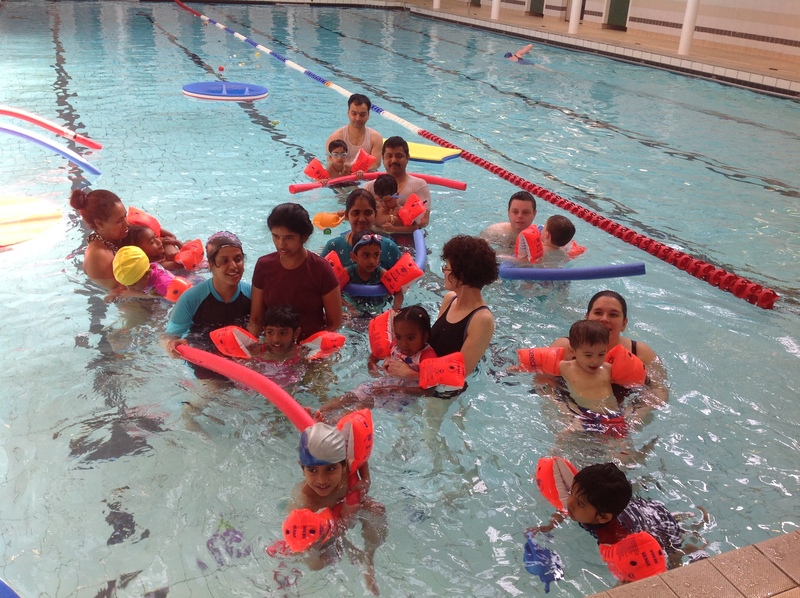 For some children it was their very first time swimming. 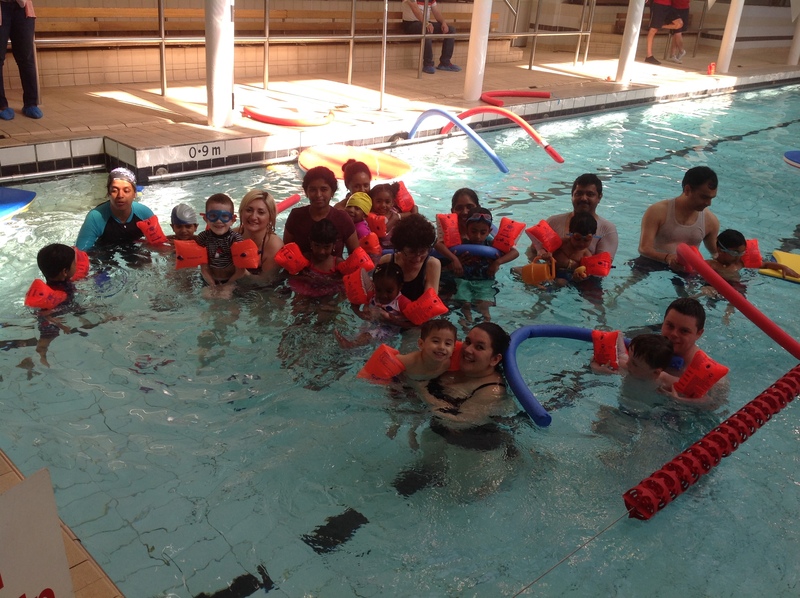 Everyone really enjoyed playing with the toys and floats and learning to kick our legs and move our arms in the water at the same time. 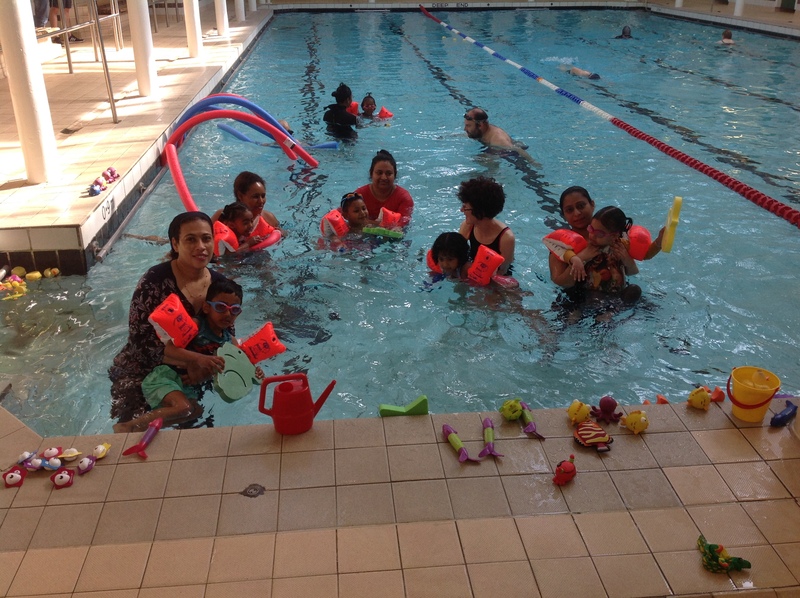 There are several Swim Centres in the city run by Edinburgh Leisure. 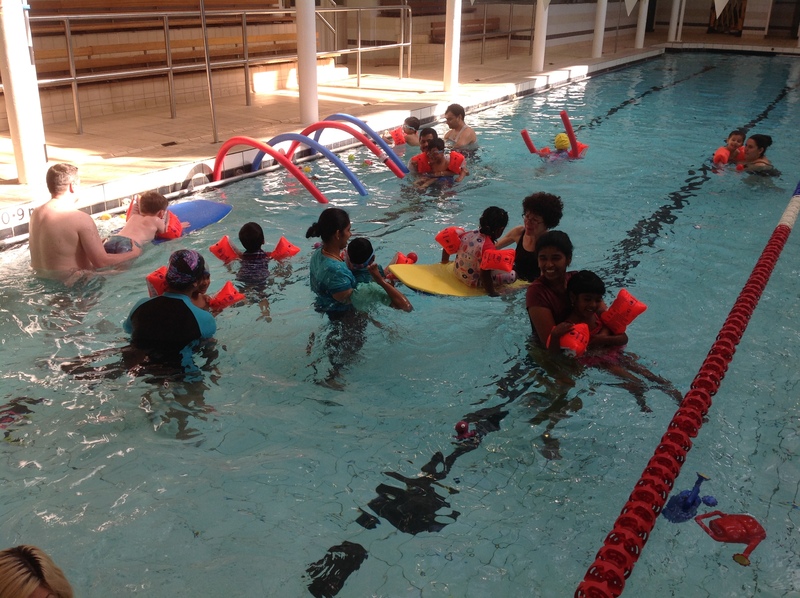 The summer holiday is a great time to book swimming lessons and help your child to develop their swimming skills. 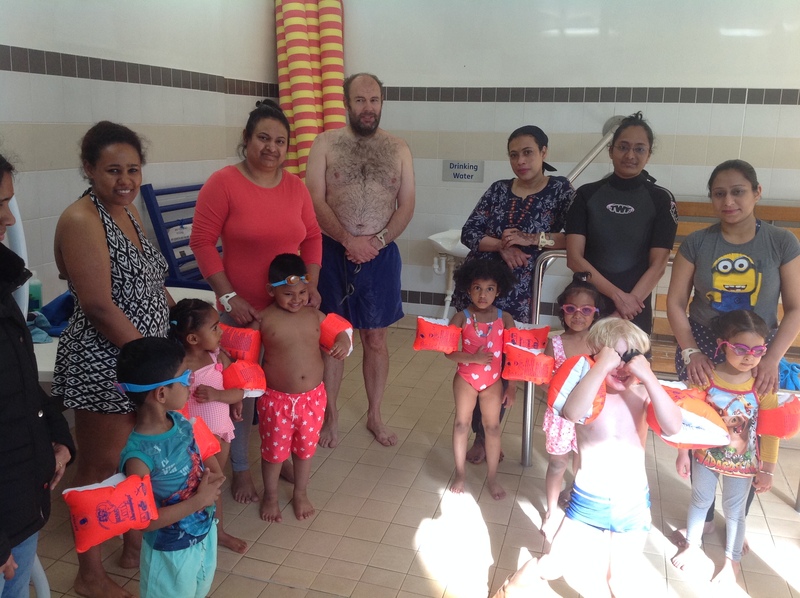 This entry was posted in News, Nursery, Nursery News, Uncategorized on May 18, 2018 by Dalry Primary Edinburgh.